Photo taken by Bob today at the Belden Stratford 2300 Lincoln Park West in Lincoln Park. Bob met a customer in the lobby of the landmark Belden Stratford today. The re-location couple is moving here from Texas and they currently have temporary housing in one of the best spots in Chicago. They will be renting one of our property listings. 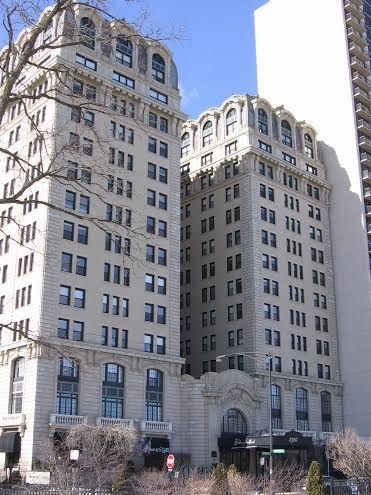 Recently purchased for $60 million and remodeled, the Belden Stratford offers a sophisticated New York state of mind existence for corporate relocations, short term rentals and those looking to live longer term in boutique hotel style. The setting at Mon Ami Gabi housed at the Belden Stratford is still one of my favorite spots for guests visiting Chicago in the summer.